Travel insurance is the best way to protect your trip investment from the unexpected. Traveling is an exciting experience, and anything can happen while you are away from home. Our specially designed travel insurance plans paired with our world-class services provide you with the coverage and confidence you need to travel without worry. Wherever your travels take you, we offer coverage to protect both domestic and international trips. Whether you’re taking a cruise, studying abroad with a student travel program, or taking that family vacation that you’ve always dreamed of—we’re here to ensure you have the coverage you need. 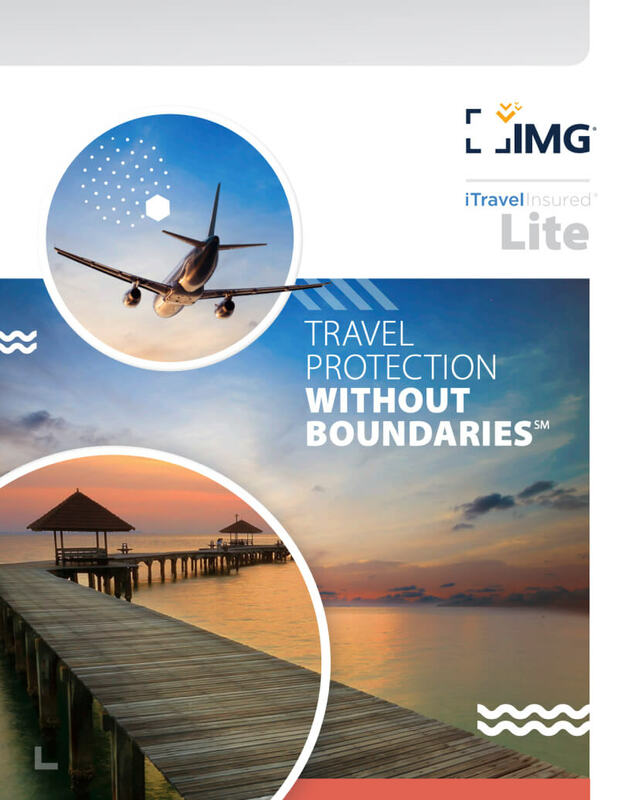 IMG’s line of travel insurance products, iTravelInsured Lite, iTravelInsured SE, and iTravelInsured LX, provides varying levels of coverage for trip cancellation, baggage delay, trip interruption, medical benefits, and many other travel-related events and expenses. These plans were designed to protect you from financial losses should something bad happen before or during your trip. Could you afford to lose your non-refundable, pre-paid travel expenses in the case of your trip being cancelled due to an unforeseen event (ex: death of a family member)? Are you traveling to a destination that may be affected by severe weather? If you were to get sick or injured on the trip, would you be unable to pay out of pocket for the necessary healthcare? If your flight is delayed or cancelled, would you seek reimbursement for the inconvenience and additional charges such as change fees? If your luggage is lost or stolen, could you afford to replace the missing baggage or personal effects? If you answered yes to any of these questions, you should consider travel insurance. While trip cancellation insurance is not mandatory, some countries require proof that a traveler has travel medical insurance before allowing entry. Check out our blog post, "Is Travel Insurance Worth It?" for more information about travel insurance. Travel insurance costs can range anywhere from 4 to 10 percent of your total trip costs. Price varies based on how much coverage you’re looking for, and the reasons you’d like to insure your trip. If you’re looking for “Cancel for Any Reason” coverage or to insure a luxury trip, then iTravelInsured LX is the plan for you. iTI LX offers the option to cancel your trip regardless of the circumstances. ** However, if you’re looking for more standard cancellation benefits, such as if an immediate family member falls ill and you need to cancel, then the iTravelInsured SE and iTravelInsured Lite plans may be the right plans for you. What's the difference between travel insurance and travel medical insurance? Travel insurance is a great way to protect your financial investment for your trip. Travel benefits can provide coverage for prepaid, non-refundable trip costs and some plans also offer limited medical coverage benefits. Travel medical insurance is primarily used for short term medical coverage when you are traveling outside of your home country. Your domestic insurance plan often does not provide coverage for you in foreign countries. If you were to fall ill or get in an accident, you could have to pay out-of-pocket for those expenses. Your credit card may boast about offering travel insurance benefits, but the reality is that they are simply a credit card company. They may offer some benefits with low maximum limits. For instance, if you miss your connecting flight due to a travel delay or your luggage gets lost, you may receive some limited coverage only for those items. 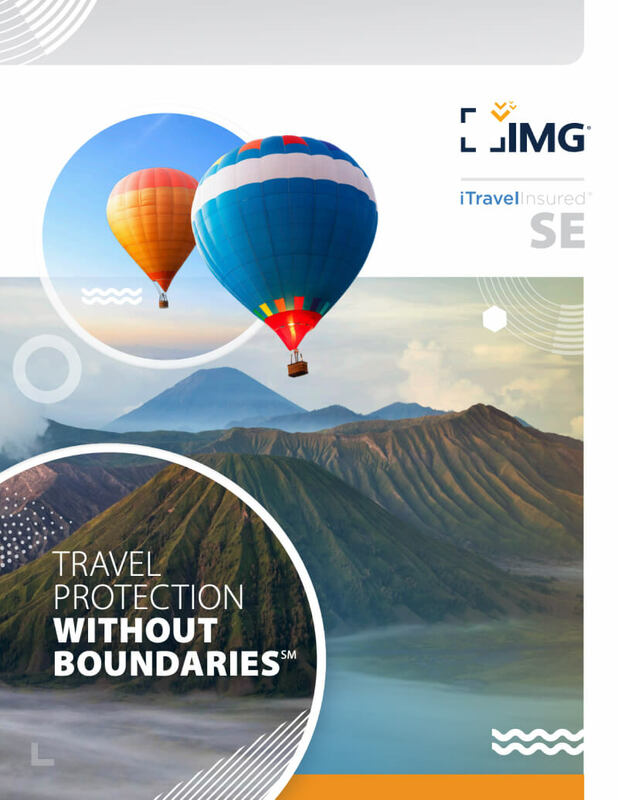 If you purchase a travel protection plan through IMG, you are purchasing from a company whose specialty is travel insurance. To learn more, check out "The Truth About Credit Card Travel Insurance." *This is not an offer to enter into an insurance contract. This is only a summary and shall not bind the company or require the company to offer or write any insurance at any particular rate or to any particular group or individual. The information on this page does and will not affect, modify or supersede in any way the policy, certificate of insurance and governing policy documents (together the "Insurance Contract"). The actual rates and benefits are governed by the Insurance Contract and nothing else. Benefits are subject to exclusions and limitations. The trip cancellation benefit is determined by the amount of your trip you elect to protect, up to the maximum benefit stated above. **For CFAR, the following additional terms apply. Your payment for the iTravelInsured LX plan and enrollment form must be received within 20 days of the date that your initial trip payment is received. You must insure 100% of the prepaid trip costs that are subject to cancellation penalties or restrictions and also insure within 20 days of payment for those travel arrangements the cost of any subsequent travel arrangements added to your trip. You must cancel your trip 2 days or more before your scheduled departure date. Travel Assistance Services are offered by iTravelInsured and are not insurance benefits. Insurance benefits are underwritten by the United States Fire Insurance Company. Crum & Forster are registered trademarks of United States Fire Insurance Company. The Crum & Forster group of companies is rated A (Excellent) by AM Best Company 2018. 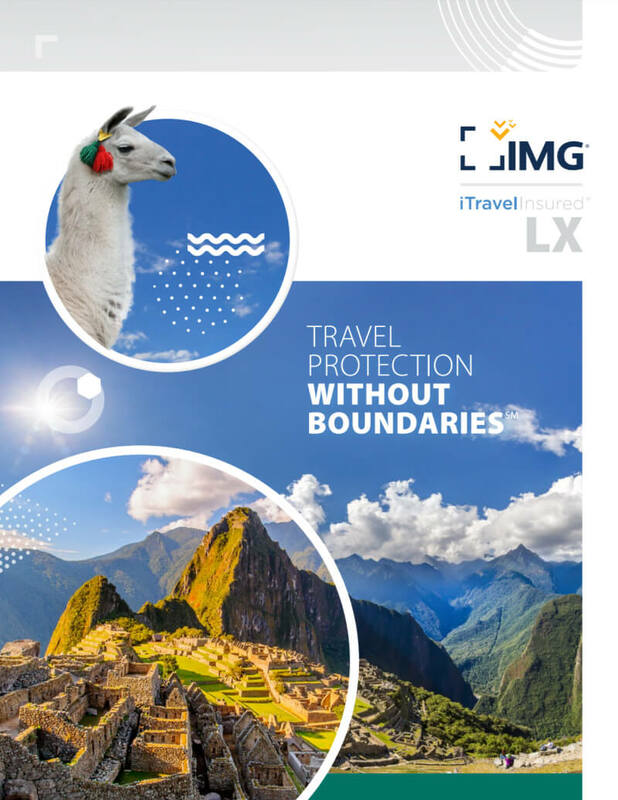 Anyone looking to obtain additional information regarding the features and pricing of each travel plan component, please contact IMG at +1 (317) 655-4500.